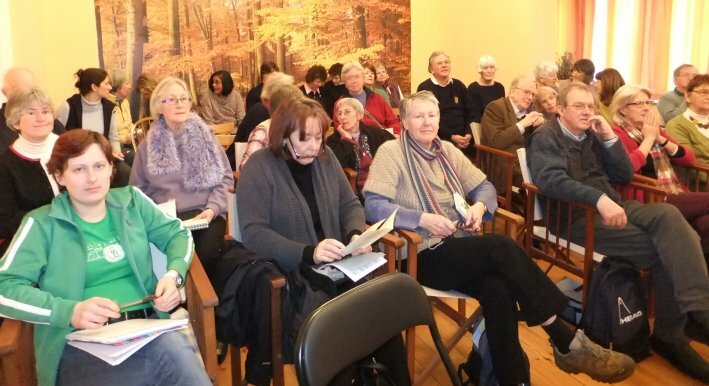 Each year The House of Prayer hosts a variety of events to which all are welcome. There are courses run here which explore the roots of the Christian spirituality. Retreats too are organized as quiet days, weekends or for longer periods. There are also regular prayer groups to which you are invited. Please explore this year’s programme. We hope to be able to welcome you at The House of Prayer sometime. All events must be booked in advance and a 25% nonrefundable deposit is required for all residential retreats, with balance paid on arrival. For those who cannot afford the full rate, a small bursary may be available. Please contact us for further details. “Thank you for such a wonderful house to hold such a loving retreat. I feel blessed to have been part of it with everyone”.